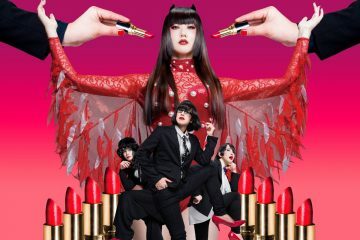 After celebrating their 10th anniversary in April this year, vocalists Yoko and Temma from electronic pop-rock band URBANGARDE sit down and talks to us about the celebratory performance, album and fashion exhibition. In this interview, we pick their minds on subcultures in Japan and how that is going, as well as finding out Yoko’s favorite costumes. Soak it all in below! 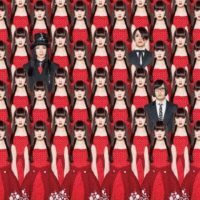 How was the sold-out KEKKON SHIKI anniversary show? Yoko: This live show was the craziest I’ve ever seen, for us as a band and for the audience too. After the show ended, my feeling was so emotional I went to hug our manager, and in that moment the cheers and applause were still going. That moment is a strong memory. Temma: The live was a lot of fun, but it was also important for us as a ceremony. It’s difficult to explain and while it’s obviously exciting, there are always parts that I’m analyzing on the spot, too. There are ups and downs in any live show, and especially with something this big and important for us, it’s so unpredictable. That’s what makes it like life. It was a show unlike any other we’ve done in 10 years. Why was the emphasis on the wedding ceremony theme so important for this event? Temma: Although the number of URBANGARDE fans is still growing, they are amazingly enthusiastic. The wedding ceremony between URBANGARDE and our fans is the natural response to their excitement and love for our music. It’s the same as how a relationship builds between two people—we wanted to take it to the pinnacle of that experience in the form of a live concert, and solidify our connection so we can discover what’s next. There was a special fashion exhibition, Girl’s Scrinium, as part of your anniversary project. What were your favorite costumes? Yoko: Every artist connected to URBANGARDE was represented at the tenth-anniversary exhibition. As I looked over the gallery, I thought, “There are not many bands who can display their history like this,” so I was very honored and moved. Since I have a personal connection to each of the costumes, it’s impossible for me to pick a favorite, but the reveal of the KEKKON SHIKI wedding dress with blood-red roses at the exhibition was exciting. 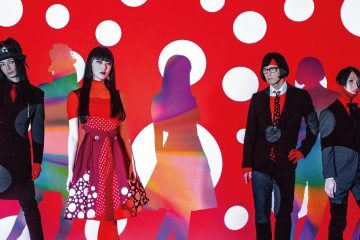 What is the inspiration behind your new album Shoujo Fiction? Temma: The girls whose stories are told by URBANGARDE do not exist in reality, and the world we describe only exists in our songs. We can’t save their lives, and maybe we can’t save the lives of our listeners, but we can continue to create music and try to inspire determination and courage, so we wanted to encapsulate this in the title. Yoko: My idea of the concept is a bit different. 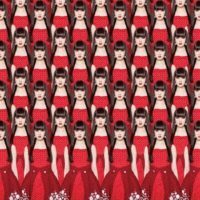 When listening to the album for the first time, I felt a little sad to say that “the Yoko Hamasaki of URBANGARDE is fiction”. I live in the present, just like you, and I age naturally year to year, and in the real world, I’m no longer a “girl”. But I can always be a girl, or woman, or even a man when I sing. The concept, the band, URBANGARDE is a 10-year-old girl, and I performed on this album with excitement about her future. URBANGARDE tends to focus on subculture topics. Is there anything big you believe will happen in the next 5 years? Yoko: Because Japanese people are fearful of major change, I don’t expect many changes anytime soon. However, I feel like there might be a shocking shift coming as a result of the 2020 Olympics. There is so much building up under the surface in Japan’s subculture. Hopefully whatever’s coming next won’t be on the screen of a smartphone or on the net, but something raw and real, like music you see in person or going to an art museum. I’m looking forward to some sort of change that emphasizes real experiences. That’s what carries real power, I think. Temma: A big catastrophe—it may already be happening, and maybe just no one’s aware of it yet. The 2020 Olympic Stadium in Akira will become a reality in a sense, and as troubled as Tokyo seems in our music, it might all end up in ruins after all. We’d like to thank Yoko and Temma for speaking with us. Please make sure you have a listen to URBANGARDE’s latest album Shoujo Fiction that is now available on digital platforms worldwide.